The Buck Tool Tether by Buckingham is a great accessory for anyone using expensive tools at height. Its unique design allows for quick attachment to the climbing belt, harness, or bucket truck and protects those tools from being dropped to the ground. With a 5 1/2′ foot reach the tool can be stowed securely to free up your hands and easily unclipped when needed. The 15-pound rating makes this great for torque wrenches, battery drills, cutters, crimpers, gas drills, and saws. 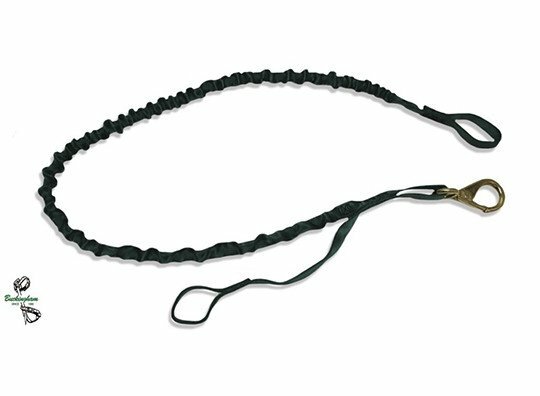 Avoid costly repairs from dropped tools, the Buck Tool Tether is the solution!